Researchers at the Jawaharlal Nehru Tropical Botanic Garden and Research Institute has discovered an elusive plant - Ophiorrhiza barnesii, which was thought to be ‘possibly extinct’ since its first discovery, from Kallar Valley in Idukki district of the Southernmost Indian state of Kerala. According to a journal article about the discovery published in the latest issue of the Journal of Threatened Taxa, the plant was last reported 75 years ago, in 1937 by British botanists. According to sources, the researchers accidentally zeroed in on the plant while making a collection of threatened plants of Southern Western Ghats for ex situ conservation. The discovery now throws light into the still to be explored floral richness of Western Ghats, which is one of the eight hottest hot-spots in the world. The plant is one among the 20 members of the Ophiorrhiza genus found in the state of Kerala. It was in 1939, that the plant was first described by a British botanist C E C Fischer based on two collections made by another British Botanist Prof. Edward Barnes. Both of the two specimens were collected from Kallar Valley during 1937. However, the plant has remained elusive since then with no further collectors or researchers reporting the plant from any other part of the state. According to researchers, subsequent botanical explorations even considered the chances that the plant may be possibly extinct by this time. However, the rediscovery now puts it in the class of the rarest plants found in the Southern Western Ghats. To confirm the authenticity of the claim, the researchers reportedly compared the present specimen collected form Kallar Valley with the specimens in the earlier collections preserved at Royal botanic Gardens, Kew in London. The elusive plant is just like any other casual plant you may find in the Western Ghats with its perennial erect herb nature. 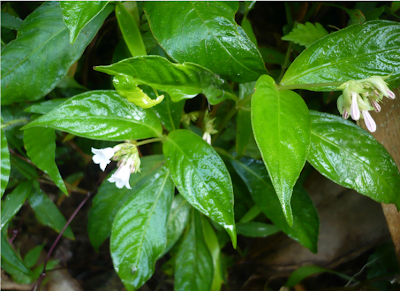 Usually found as part of the under growth in the evergreen forests of the Western Ghats at an altitude of 1200 to 1600 meters from the mean sea level, the plant bears small white flowers. The flowering and fruiting season of the plant falls in the September to December period. According to researchers, the plant is also found along the banks of the streams in the forests. It is found “usually associated with Sonerila wallichii, Ophiorrhiza roxburghiana, O. barberi, Elatostemma sp., etc”, says the research article. 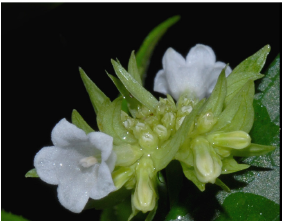 However, with the rediscovery, researchers are raising doubts about the identity of another rare plant of the same genus found in Western Ghats - Ophiorrhiza falcate. Described by British naturalist Beddome in 1861 from the Anamalais, the plant resembles O. barnesii, in its description. However, rigorous searchers in the specimen collections in the foreign herbariums where the collections from pre-independent India are kept failed to trace back the original specimen based on which Beddome described the species. “Unfortunately, searching the specimens at The British Museum, Natural History (BM); Royal Botanic Gardens, Kew (K) and The National Herbarium, The Netherlands (L) also became futile.”, says the researchers. Researchers seriously doubt that both the species should be one and the same; however, without detailed surveys at the Anamalais, it will be too early to speculate in that direction, say the researchers. After the discovery, now a specimen of the plant is preserved at the herbarium at the Jawaharlal Nehru Tropical Botanic Garden and Research Institute in Palode in Thiruvananthapuram. The researchers have also added some individuals of the plant to the gene pool that is developed in the institute as part of ex situ conservation of wild plant varieties. E.S. Santhosh Kumar, P.E. Roy, and S.M. Shareef from Jawaharlal Nehru Tropical Botanic Garden and Research Institute, Palode, Thiruvananthapuram, Kerala have co-authored the study. It is heartening to learn someone, somewhere is taking care of our cohabitants. We are also happy that the the social awareness regarding conservation is increasing in our country with such rediscoveries. As you said, it is the need of the hour to take care of our cohabitants, or we will soon find ourselves in real soup. Glad to know you liked it. Documentation is a very important in taking effective conservation measures. Now, since we we know that the plant exist here, we hope conservation measures can ensure that it sustains. Thank you for the comment.